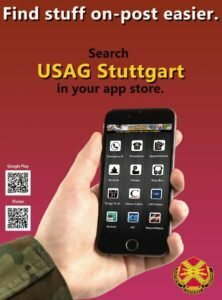 Touring Europe is one of the biggest opportunities available to members of the Stuttgart military community. The proximity of multiple countries all within a few hours of travel offers the chance of visiting many different landmarks, cultures and peoples. Using the following tips, Americans traveling abroad can help ensure their adventures are safe during all manner of emergencies. Friends or family, discuss security with your fellow travelers before you go. Check out the Department of State’s travel advisories for your destinations and get embassy phone numbers. Depending on the destination, service members may need to get approval from their chain of command first. Military personnel and civilian employees should complete a foreign travel report with the garrison’s Protection Branch; the interactive form includes a number of useful links that provide up-to-date country information. If you’re traveling by air, go to the airport with enough time to get through security, but not so much time that you must linger longer than necessary. Go directly through security to minimize the time spent in the unsecured front of the terminal. Do the same thing after you collect your luggage from the baggage carousel – get your gear and move out. Upon arrival, avoid unmarked taxis, buses and other forms of unofficial transportation, and only use reputable ground transportation. In the event of an emergency, you should have a rendezvous location for your party. Find easy rally points that offer some protection, such as walls, barriers, and depending on the weather, overhead cover. From a security standpoint, the ATO recommends avoiding clothing that identifies you as an American, to include your vehicle if you drove (and in general during your tour of duty in Germany, remove flags, stickers and decals that mark you as a U.S. citizen). Speak quietly and don’t draw attention to yourself. In other words, be inconspicuous. If attending an event at a large venue, such as a sports stadium, remain vigilant and know where the exits are. If separated from your party, go to your rally point. Notify your unit and the local embassy or consulate that you’re okay. Whether the emergency is a natural or manmade disaster, you can let your friends and family know you’re okay through the American Red Cross’s “Safe and Well” website. Register with the Department of State’s Smart Traveler Enrollment Program. STEP lets you receive alerts and messages for your travel destinations. Visit https://step.state.gov/step. Get travel alerts and country specific information from the Foreign Clearance Guidance and State Department websites at https://travel.state.gov/content/passports/en/alertswarnings.html and https://www.fcg.pentagon.mil/.